Further strengthening its alliance with Philippine Airlines (PAL),Airphil Express is undergoing a major transformation by improving and aligning its service standards and product offerings with the flag carrier. Reflecting this change, Airphil Express will rebrand itself as “PAL Express” effective March 15, 2013. All Airphil Express planes will use the familiar “sunriser” PAL livery and logo on its tail and fuselage. Side by side with the rebranding will be a total enhancement of customer experience as PAL Express ensures that customers receive the best quality service that each carrier has been known for. With the rebranding, PAL Express passengers will now enjoy complimentary snacks, drinks and reading materials on board and other amenities previously enjoyed only by passengers of full service carriers like PAL. Passengers of PAL Express can also earn miles through their membership in Mabuhay Miles. “It’s not just a name change, but an alignment of two standards into one. With this rebranding, PAL and PAL Express will be full service carriers in terms of service, but LCC in terms of managing costs,” PAL President Ramon S. Ang said. Once the transformation is complete, PAL Express will have the same service standards as PAL, a strong 72 year-old brand recognized as one of the country’s most prominent corporate institutions. The objective is to deliver enhanced customer experience in all touchpoints both on ground and inflight. Despite the rebranding, PAL and PAL Express will remain distinct and independent airline companies but following a single service standard. All PAL flights will be manned by PAL pilots and cabin crew, while PAL Express flights will be operated by Airphil Express pilots and flight attendants. 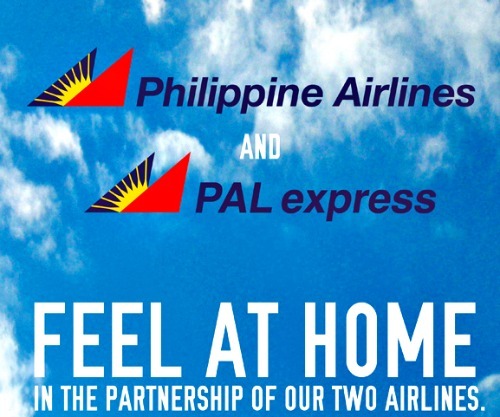 Both airlines will also maintain their respective websites – www.philipineairlines.com and www.flypalexpress.com as well as hotline numbers (02)8558888 for PAL and (02)8559000 for PAL Express. For seamless alignment of service standards, PAL and PAL Express frontliners like cabin crew, airport customer service agents (CSAs), ticket office agents and contact center service agents are undergoing continuous training. Policies, procedures and standards of the two airlines are also being aligned.